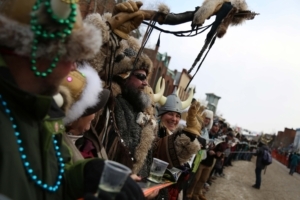 Ullr Fest will celebrate 55 years January 9-13, 2019 The Town of Breckenridge invites snow lovers of all ages to join the party. During Ullr Fest in Breckenridge, don’t be surprised to see horned Viking hats adorning the heads of skiers and snowboarders, the biggest bonfire in town, and more than 12,000 Ullr enthusiasts filling the streets for the Ullr Parade with crazy float participants skiing off jumps on Main Street or gliding along town in a hot tub. Join us to rejoice with Ullr himself… he’s ready for a good party. Breck’s Got Talent, Wild & Scenic Film Festival, family activities and a whole lot of ULLR!